Indians who have either reached United States of America or wish to reach soon received two contradictory news, which can have major implications on their overseas plans in near future. On one hand, there is good news for students, as they have now have an extended stay after their course finished. On the other hand, there is some bad news for Indian companies and H1B visa holders, as US Govt. 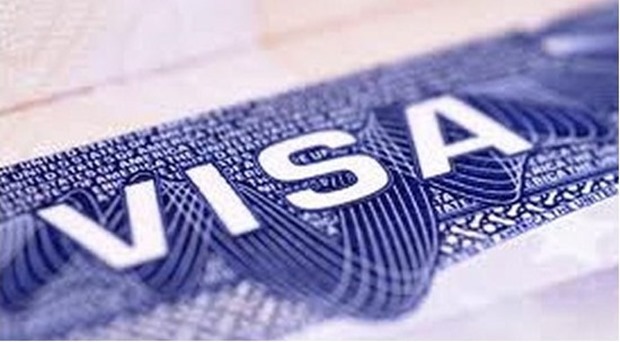 will probe H1B visa irregularities reported at Infosys and TCS. United States Citizenship and Immigration Services permits Optimal Training Period or OPT of 12 months for those students who are studying in the USA under F1 visa for more than 9 months. This, after their course ends, these students can extend their stay by 12 months in order to work in the USA, and get practical training of their education. In case of students who are pursuing education in STEM streams (Science, Technology, Engineering and Maths) are eligible for 24 months stay under OPT. Now, U.S. Department of Homeland Security has proposed that this period of OPT be extended to 6 years; which means that both STEM and non-STEM students can work and live in the USA much longer. Although this proposal hasn’t been legally approved by the US Govt., but speculations are rife that it won’t be opposed, considering acute skill shortage which US is facing right now. Meanwhile, there is some bad news for corporate entities and H1B visa holders who wish to work in the USA because US Govt. has announced that they will probe all cases pertaining to H1B visa irregularities filed against two of the India’s biggest IT firms: Infosys and TCS. Earlier this month, New York Times, an influential publication in USA reported that hundreds of Walt Disney employees in USA were fired; but before they leave, they are supposed to train low cost immigrant workers from India having H1B visas. This news triggered a public outcry against immigrant workers, especially from India as they were seen as snatching US jobs from US citizens. Infact, similar case of termination was reported from Southern California Edison power company as well, which has outsourced their major tasks to Infosys and TCS. Reports emerged that employees are given pink slips, but before that, they were forced to train their replacements who have H1B visa. Although not clear, but these replacement employees were most probably Indians from TCS and Infosys. These cases, when clubbed with racism allegations by American citizen against TCS and Visa Fraud cases against Infosys, has snowballed into major controversy, which US Govt. can not ignore for long. After all, it’s a case of jobs being snatched away from locals and handing over to low cost foreign workers. Both TCS and Infosys has denied these reports of probe initiated by the US Govt., and has assured anything they do is governed by the laws and regulations. NASSCOM has also come out heavily against US Labor Department, as they have stated that US Govt. is working without ‘facts and logic’. Out of $140 billion IT services market which India commands right now, around $100 billion results from outsourcing contracts from USA. The outcome of this probe will certainly have high impact on the business. We will update you as more details come in. There is no point blaming the Indian offshore technology companies in the IT industry alone. The job loss in the US manufacturing space has been colossal. USCIS has the authority to initiate probes on visa applications. But can anyone do anything about the imports from China? Why were the factories shut down in the US? Of course, no one came from China (using a visa) to work in the factories. However, IT guys did physically come (imported) from India. So manufacturing was – “out of sight, out of mind”. However, IT was walking, talking and driving on US soil. Hence, politically it became imperative to do something about the perceived problem that can be seen in front of the eyes. But again, the US worker seems to have had the same fate, be it IT, be it Manufacturing. Corporate greed? What do you think? Infosys and TCS……bring in cheap H1s/L1s to replace American workers. The employees are paid less…so less tax to the government. Cheap for both American companies and Infosys/TCS. The CEOs of these Indian companies are paid heavily to do this rocket science job of replacing the Americans with cheap labor. Look at the stock prices and see their upgrades and see which American firms upgrade them. These Indian companies in turn donate millions to universities in the US to gain fame and some other advantages. Infosys is notable famous for such a fraud. They are just using the loopholes to earn the big bucks. The problem is that in many cases, the SCE and Disney cases the most recent highly publicized ones, h1b, l1 visas were used to replace high skilled American workers. The h1b, l1 visas were set up with intent to bring in high skilled worker, that no similarly skilled American worker could be found. But what is happening is these visas are being used to replace American workers with lower paid foreign workers.. this is against the intent of the program, so this needs to be fixed. So either the law is not being followed, or the law needs to be changed. This is right step from USA immigration to check on H1 visa fraud activities by “desi” companies..
we at USA know that how all this white collar “slavary” works and how desi companies are making millions with this indian high tech slaves!